We successfully completed three different Academy sessions in two weeks! Thanks to all players who participated and their families for the support! We have had such great feedback about Session 1 that we are adding another half day Academy next week. Session 2 will be June 25-27 from 9 am - NOON and will be just $95. Reserve your spot here and follow directions to register. There are still spots available for the Youth Academy June 17-21. We will not be holding a second session, so make sure you get your registration in for Session 1, June 17-21, now! All those who have reserved spots, please complete registration with all forms and payment. Campers should have non-marking shoes to be used on our court. Basketball shoes highly recommended. 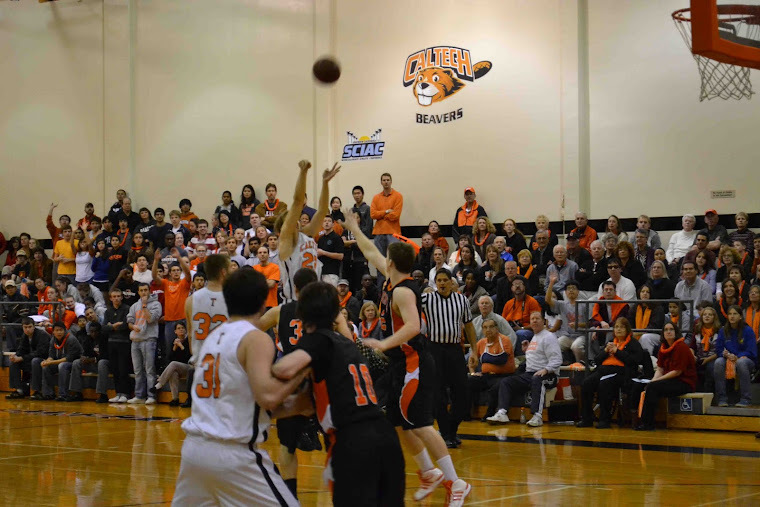 Questions: Call Coach Eslinger at 626-395-3264 or email hoopitup <at> caltech <dot> edu. There are plenty of spots still available for the Youth Academy! June 17 is coming up! Just follow the instructions RIGHT HERE. We're flexible! Have a group? -- there are great discount! Need to leave early or stay late? We'll work with you. 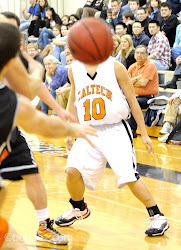 Call 626-395-3264 or email Coach Eslinger: hoopitup <at> caltech <dot> edu. 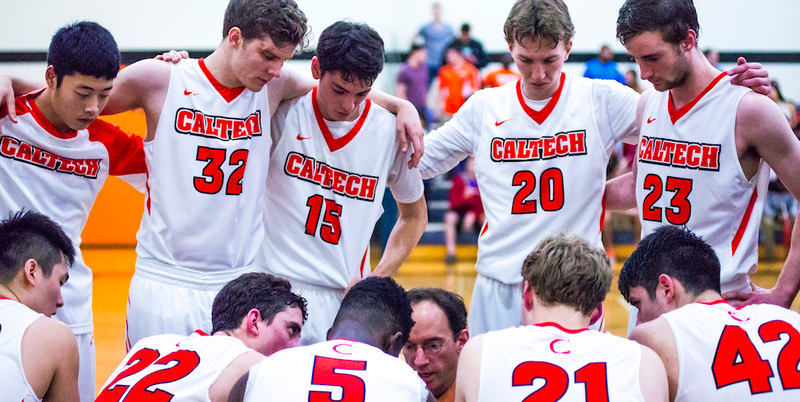 Learn from Caltech's coaching staff and players! We use Braun and Brown Gyms at Caltech! WE APOLOGIZE, BUT THERE WILL NOT BE A YOUTH ACADEMY THIS YEAR. Camp details are on the Youth Academy Page. STEP 1 -- Reserve a spot by completing this form online. Note: If purchasing via PayPal, once in your account, send payment to e-mail below -- you still need to print and complete the full registration packet here. 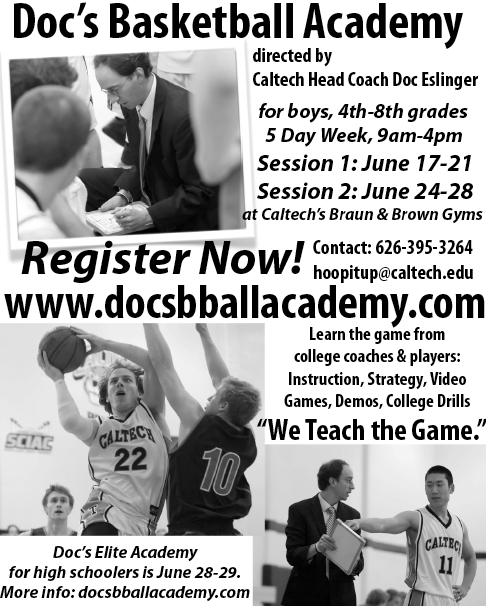 Elite Academy, June 28-29 at Caltech, for the serious high school player! RESERVE your spot by filling out the form in following post! Click here for Academy flyer and Registration form.